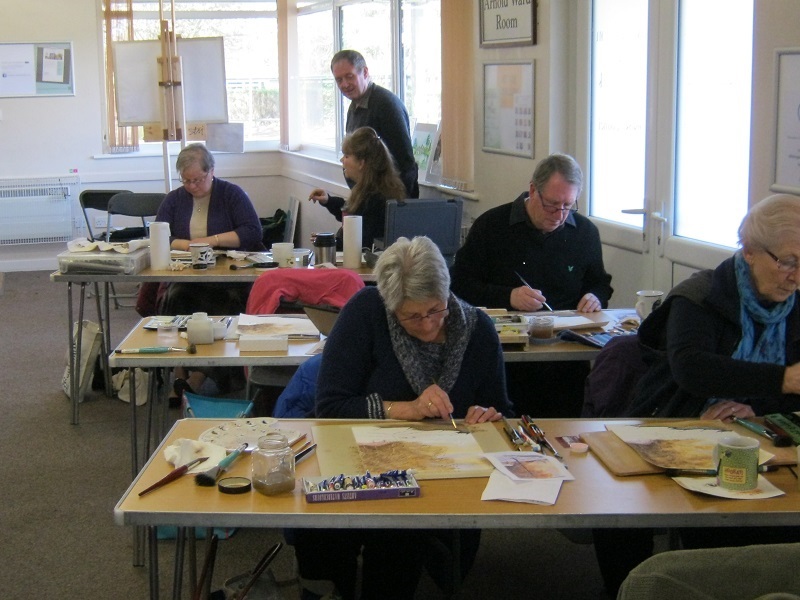 The Art group meets every Wednesday morning at the Community Fire Station, Birmingham Road, Lichfield. Our session is from 9.30 till 11.30. Members of the group can work in any medium but most are watercolourists. The group does not have a designated teacher. Having said that we are mutually supportive, offering each other tips and techniques to improve our work. Newcomers are always welcome when space allows. Members supply their own paints and other materials and take turns in providing refreshments on a rota basis. Those joining always say that we are a friendly group and have soon settled in. It is helpful if new members are not complete beginners and that they have reasonable drawing skills. Having said this should a viable number put themselves forward a beginners class can be organised. For further information please contact B. Mills by clicking onto the CONTACT link at the top of the page and leave a message.